When competing, nerves can get the better of you. Unfortunately, horses are very sensitive to their riders and very quickly pick up your feelings of tension. All too often this is reflected in your performance in the arena, leading to disappointing scores. Here’s some helpful advice on how to manage your competition nerves. Before you can conquer your nerves, it’s important to understand why you’re competing at all. 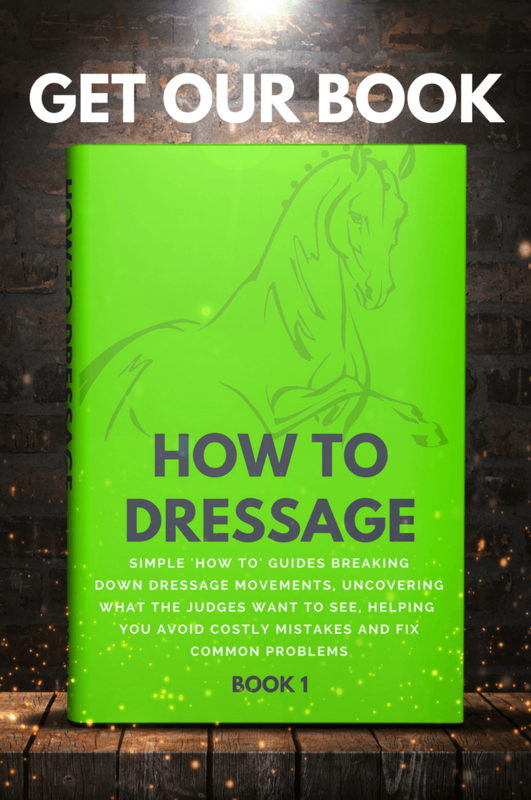 One good reason for putting yourself through such trauma is that competition presents an opportunity to have your hard work assessed by a qualified and experienced dressage judge. 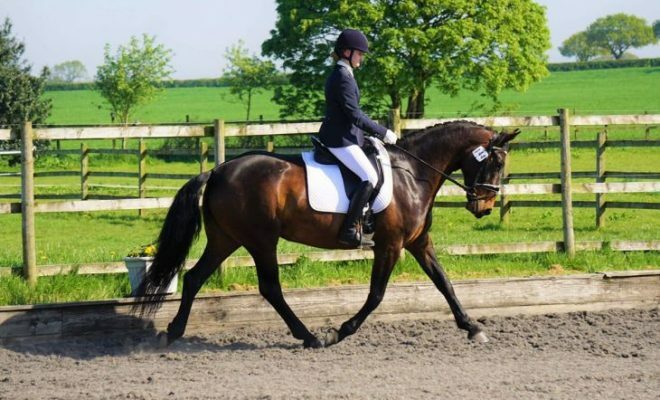 The feedback you’re provided with on your score sheets should highlight areas that are good, as well as pointing out aspects of your horse’s training that need more development. Your score sheet can be used as a useful training tool and can form the basis of your regular lessons. 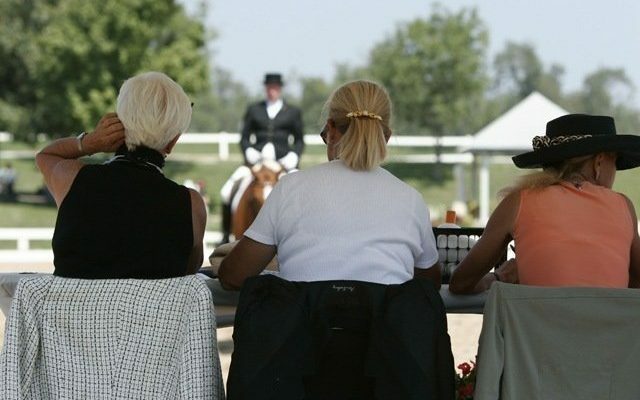 Some people compete with the sole goal of winning money and prizes, or to accumulate grading points to increase the value of their horse. Many do so purely for their own enjoyment. Whatever your motivation for competing; it should be fun! Try to forget about everyone else and just concentrate on yourself and your horse. If you do your best and your horse tries hard, you’re a winner, whatever the result. Controlling your nerves – PREPARE! Before you enter a competition, ride through the test under the eye of your trainer and ask for an honest critique. If you struggle to produce a competent performance at home in familiar surroundings without the effect of nerves, you won’t fare any better under the stress of competition. Realistically, you should be riding at home at least one level above that at which you choose to compete. 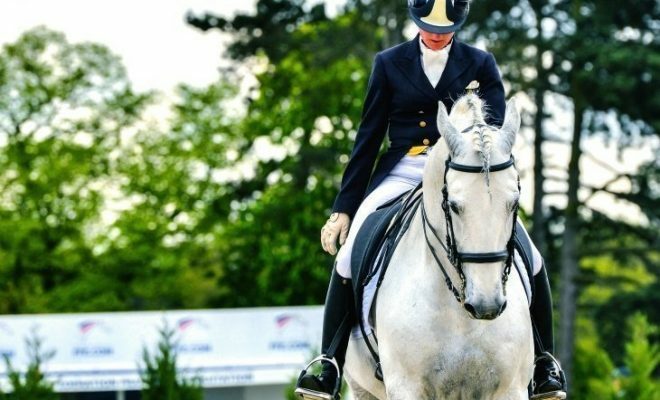 If you know that your horse can comfortably perform everything required by the test you’ve entered, you won’t feel as nervous on the day. Make sure you’re well-prepared. Make a list of everything you’ll need to take with you on the day, and gather it all together well in advance so that you won’t have to rush around at the last minute. 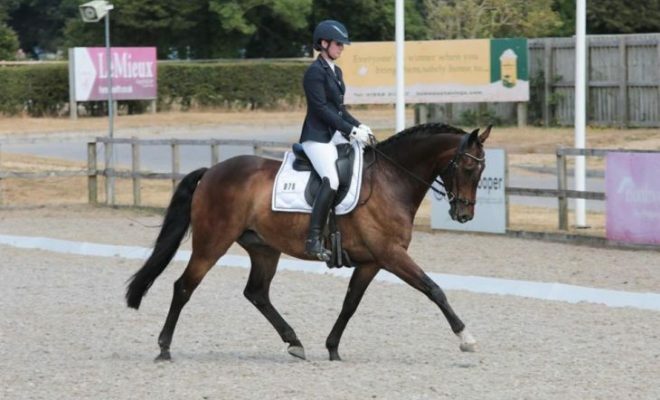 Allow plenty of time to learn your dressage test; don’t leave it until you’re en route to the venue to try to learn it! If you’re afraid you might ‘go blank’, ask a friend or fellow competitor to call the test for you as a backup plan, so that you have one less thing to worry about. Make sure you leave in plenty of time to get to the venue and that you know how to get there! Getting lost on the way and arriving late and in a flap won’t help to calm your nerves at all. If you’re not familiar with the venue, give yourself plenty of time to find your way around and to get your horse tacked-up and warmed up. Get to the venue early, have a drink, and watch a few other people riding their tests before you start to get organized. It’s a good idea to allow a little longer to work-in than you would do at home. Many horses are distracted and excited by unfamiliar surroundings, and an extra 10 minutes will allow your horse time to relax and settle to the job in hand. Some people find that listening to music while riding can help them to relax. There’s no reason why you can’t listen to your favorite chill-out tunes through headphones while you work in, as long as you remember to remove your device before you ride your test. Make sure you remember to breathe! Taking slow steady breaths can really help to slow your heart rate and relax your muscles, whilst keeping them supplied with the oxygen they’ll need to function to their optimum. There are many herbal anti-stress products that you can buy over-the-counter which could help to relieve nervous tension on the day of a competition or make sure that you get a good night’s sleep the day before. However, do remember to set your alarm clock, just in case the remedy you choose is particularly effective and you oversleep! Don’t let competition nerves ruin your performance! 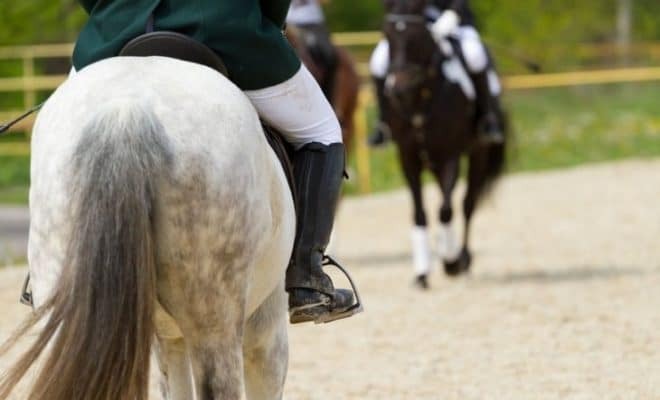 Make sure you’re well-prepared, get to the venue in good time, and ride down the center line securely in the knowledge that the requirements of the test are well within you and your horse’s capabilities.